Dr. 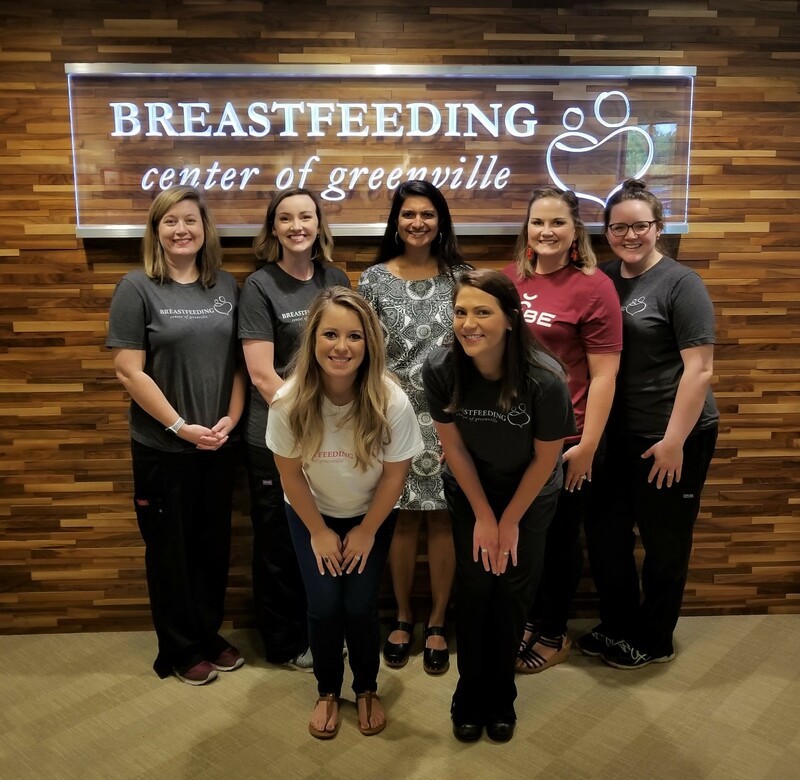 Powers is honored to be part of the incredible team at the Breastfeeding Center of Greenville. As a mother of four, she knows the challenges, as well as the many joys, of breastfeeding. She absolutely believes in the tremendous benefits (to both mom and baby) of breastfeeding, but she knows that it can be very hard work. Her goal is that each patient feels the support and guidance that the Breastfeeding Center team offers, that you trust in the commitment to assist you until breastfeeding becomes comfortable and you feel confident, and that you know that the Breastfeeding Center team feels privileged to journey alongside you during this precious time. Dr. Powers is a graduate of LSU School of Medicine in New Orleans, and she completed her residency in Pediatrics and Internal Medicine at Baylor College of Medicine in Houston, TX. Itís been a special treat for her to get to take care of adults again, as mom and baby are treated as a connected unit in the Breastfeeding Center of Greenville. In her spare time, Dr. Powers enjoys time with her husband and wonderful kids, and her hobbies include photography, cooking, and writing. Ginger graduated from Clemson University with a BS in Nutrition and Dietetics. She worked as a Nutritionist/Lactation Counselor and Breastfeeding Coordinator for WIC for three years. While working for WIC she realized how much she enjoyed helping breastfeeding mothers. Ginger received her (IBCLC) International Board Certified Lactation Consultant credential in 2014. She began working for the Breastfeeding Center of Greenville in 2015. She has breastfed her two beautiful children and knows firsthand how important it is to receive lactation help from the beginning. Ginger has a passion for educating and supporting breastfeeding mothers and working at the Breastfeeding Center allows her to do what she loves every day. Sara graduated from Clemson University in 2008 with her B.S. in Health Science. She then attended the University of South Carolinaís School of Public Health where she received her Masterís of Public Health in Health Promotion, Education and Behavior in 2010. Sara worked for four years as a Nutritionist and Lactation Counselor for the South Carolina Department of Health and Environmental Control (SCDEHEC)ís WIC program. Sara received her (IBCLC) International Board Certified Lactation Consultant credential in 2013. Sara began working for Parkside Pediatrics in June 2014 and the Breastfeeding Center of Greenville in 2015. Sara is happily married with one daughter. Lynne is a mother of four biological children and two step children. She has worked for Parkside Pediatrics as a Medical Assistant since 2007 and received her certificate as a lactation counselor in 2013. Lynne had little support while she was breastfeeding her own children so she has found a love for helping mothers learning to care for and feed their babies. Lynne is also currently a student, pursuing her IBCLC and her nursing degree. Jessica graduated from MTSU with a B.S. in Concrete Industry Management in Engineering Studies. She moved to the Upstate from Nashville, TN nine years ago and decided to trade in the hard hat and steel toe boots for Danskos and a stethoscope to pursue a nursing degree. Jessica graduated from USC Upstate with a B.S. in Nursing. Jessica has a passion for working with newborns and post-partum care of mothers and absolutely adores her career. She considers it an honor to have the opportunity to work with families in such an important time in their lives. She truly loves family teaching and wants to be able to help mothers reach the feeding goals that they have set. When Jessica is not at work she soaks up every chance for adventure with her husband of almost ten years and their daughter. On the weekends you will usually find Jessica and her family on the Swamp Rabbit Trail downtown. She also enjoys traveling to Charleston and the beach with her family every chance they get. Beth is a member of the International Lactation Consultant Association and the SC Breastfeeding Coalition. She says she has always known that caring for mothers and babies was special, and sought out a way to do that throughout her time in nursing school. Shortly after nursing school, Beth became an IBCLC to help moms and babies with bonding through breastfeeding. Beth states that her favorite part of being a lactation consultant is empowering moms to accomplish their goals, and giving them the confidence to do it while minimizing stress for the family as whole. Beth enjoys spending time with her talented husband and two incredible girls. She is a former chef who still loves to dabble in the art of cooking and baking. On the weekends, Beth enjoys walking or hiking the trails throughout the Upstate and North Carolina. A St. Louis native, Beth is a Cardinals fan and enjoys watching college football, especially the University of Michigan. Go Blue! Ruth has lived in Greenville for over ten years. She graduated from Greenville Technical Collegeís nursing program in 2010. 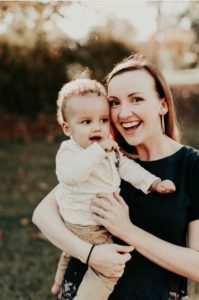 She spent the final practicum portion of nursing school working with lactation consultants in the hospital, where she discovered her passion for moms and babies during this beautiful life stage. Ruth joined the Parkside family in 2014. She transitioned to The Breastfeeding Center of Greenville shortly after it opened in 2015, and became a Certified Lactation Counselor. She is currently working to complete her IBCLC (International Board Certified Lactation Consultant). She feels privileged to work in such a unique and relaxing environment with a lactation team that truly cares for the mothers and babies that they see each day. She loves her patients, and enjoys coming along-side families in their breastfeeding experience to listen, encourage, and teach practical skills. When sheís not working, Ruth loves spending time with her husband, and their cat, Noggin. She is active in her church, and loves to travel, read, and paint. One of her favorite verses is Psalm 1:1-3. Hali first attended Clemson University where she received a BA in French Language and Biological Sciences in 2013. Upon graduating, Hali realized her true passion was in healthcare. Hali received her BS in Nursing from Anderson University in 2015. Hali’s first job in nursing was as a Labor and Delivery nurse, where she fell in love with women’s health. Hali’s first experience with the Breastfeeding Center of Greenville was when she received invaluable breastfeeding support with her own child, Jack, who she breastfed for almost 2 years. Hali received her International Board Certified Lactation Consultant (IBCLC) credential in 2018. She considers it an honor to partner with, encourage, and empower mothers and their families in their feeding journeys.